Pollution exclusions are far-reaching and include much more than hazardous waste. Mold and bacteria are excluded in most general liability policies. Insurance agents and brokers typically do not fully understand the pollution exclusions and therefore do not recommend environmental impairment liability insurance often enough. The need for environmental coverage in the property and liability insurance packages sold to commercial insurance buyers has expanded over a hundred fold in the past decade. The dramatic expansion in the underlying need for genuine environmental insurance coverage has been quietly driven by the ever-expanding effects of pollution exclusions on the commercial insurance coverage purchased by a wide range of businesses. Insurance has doubled. With the expansion in sellers, the price of the insurance coverage has decreased dramatically. For example, over the past 10 years, the minimum premium for a good quality contractor’s environmental insurance policy has decreased by 85 percent to $1,500 for a $1 million policy limit today. The cost of mold/bacteria coverage on a pollution insurance policy sold to a contractor has decreased from 2 percent of revenues in 2004 to 1/10 of 1 percent of revenues today. That a 2,000 percent rate decrease! Environmental impairment liability (EIL) insurance on commercial buildings—including coverage for fungus and full spectrum bacteria contamination—has seen rate decreases of 80 percent. Today, a hotel can purchase a high quality EIL policy with a $1 million policy limit for $3,500. Subject to a $3,500 minimum premium (as of this writing), apartments can be insured for $20 per door if the building has an effective water intrusion loss prevention plan. 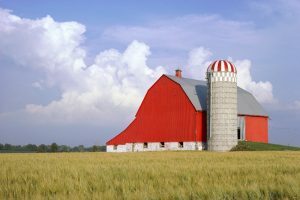 Farms can access low-end quality environmental insurance policies for as little as $1,000 for a $500,000 policy limit and high-end environmental coverage specifically designed for farms for as little as $3,500 for a $1 million policy limit. Selling environmental insurance can be a good source of income for insurance producers. Two of the top 10 insurance producers in the Insurance Business America magazine Top Producer awards specialized exclusively in selling environmental insurance.